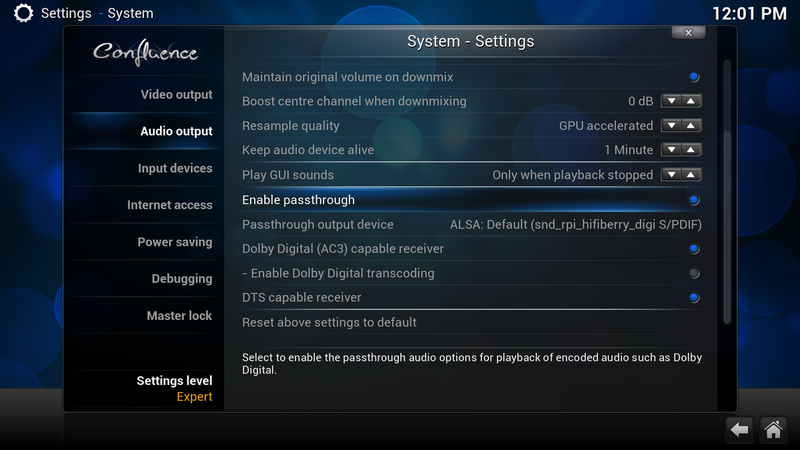 This guide shows you how to enable Dolby Digital/DTS output on OpenElec 5.x. Note that we can’t guarantee that this will work with a specific release of OpenElec. If it isn’t working with our OpenElec version, you need to contact the OpenElec developers. The HiFiBerry Digi/Digi+ can output 5.1-channel DTS and Dolby Digital soundtracks to a receiver that can decode it. 1. 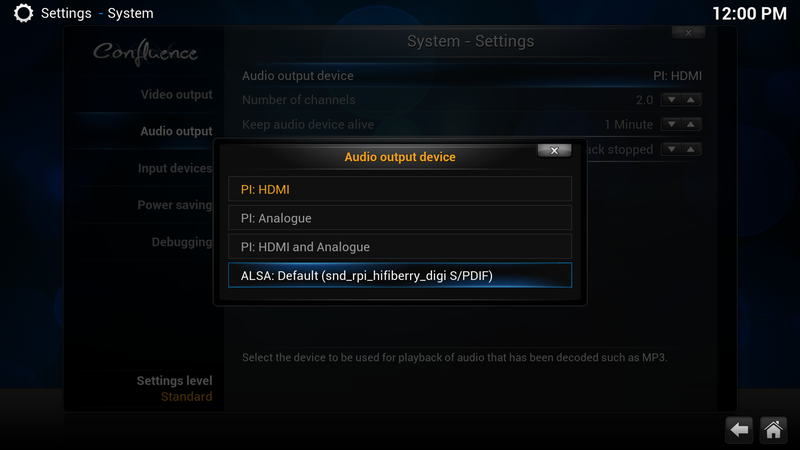 Make sure the HiFiBerry Digi is configured correctly. You can use our OpenElec guide. 3. Now you still have to enable DTS/Dolby Digital passthrough. You need to enable the expert settings first (in the lower left). After switching to expert mode you have many more options that you can configure. You now need to enable passthrough and also enable “Dolby Digital capable receiver ” and “DTS capable receiver”.